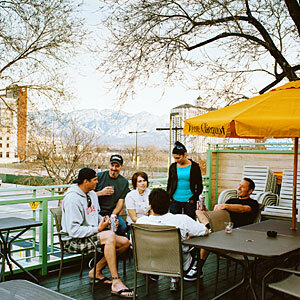 This is where downtown office dwellers blowing off steam head for mountain views from the deck and people-watching. Get a pint of crisp Cutthroat Pale Ale by Uinta Brewing Company—one of our favorite local microbrews. 326 S. West Temple St.